With the emergence of new ISO standards, advanced-node designs, and the requirements for system design enablement, analog engineers are experiencing difficulty maximizing productivity and predictability while meeting aggressive time-to-market deadlines. The Cadence® Virtuoso® ADE product suite offers unparalleled performance and ease-of-use features that set the new standard for quality custom design, analysis, and verification. The new Virtuoso ADE product suite enables designers to fully explore, analyze, and verify a design against design goals so that they can maintain design intent throughout the design cycle. 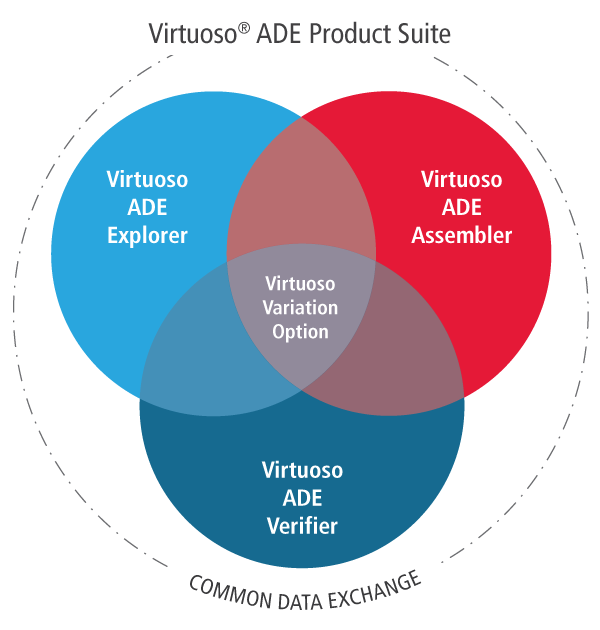 As the industry’s leading solution for analog simulation control and management, the Virtuoso ADE product suite allows you to flexibly select the product(s) that best support your design goals as you move through the design flow. The industry’s first analog/mixed-signal design implementation and verification flow to achieve “Fit for Purpose - Tool Confidence Level 1 (TCL1)” certification enables you to meet stringent ISO 26262 automotive safety requirements. The flow brings transistor-level designs from creation and simulation through physical implementation and verification using the Virtuoso ADE Product Suite and the Spectre Circuit Simulation Platform. The Virtuoso ADE Verifier provides design engineers with an integrated means to validate the safety specifications against individual circuit specifications for design confidence. For information on the safety manuals, Tool Confidence Analysis (TCA) documents, and compliance reports from TÜV SÜD, download the Functional Safety Documentation Kits through Cadence Online Support.